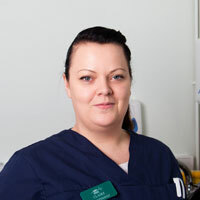 Claire joined us in July 2017, Claire had previously worked at another vets as a receptionist for 3 years. She owns a Lurcher called Dusty, and 2 Rabbits - Clover and Sofia. In her spare time she enjoys going to the gym and spending time with her little girl.